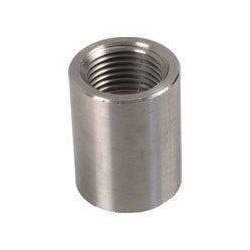 Our product range includes a wide range of alloy fittings, forged fitting, steel tees, steel cap and steel couplings. 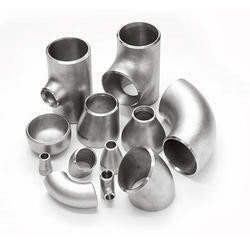 Being the leading firms of the industry, we offer our clients wide range of Alloy Fittings. Offered product is widely acknowledged by our precious clients due to its fine finish and high resistance. Provided product is procured from our reliable and trustworthy vendors who have set a mark in the industry by supplying a qualitative range of products. Apart from this, we are offering these products at very reasonable prices to our valued customers. 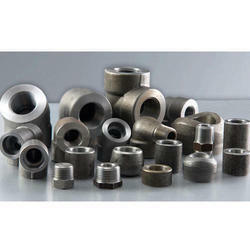 Owing to highly-advanced infrastructural set up and immense knowledge, we are engrossed in offering a precision-engineered assortment of Forged Fitting. Our offered product is manufactured and designed by utilizing sophisticated tools and finest grade materials state-of-art production unit. Post manufacturing process, the entire array is rigorously inspected against numerous quality parameters to ensure its quality. In addition to this, this product is able of finding application in different industries. WE ARE THE STOCKIST.WE DEAL IN ALL TYPES OF STAINLESS STEEL PRODUCTS. WE DEAL IN WIDE RANGE OF STAINLESS STEEL TEE. 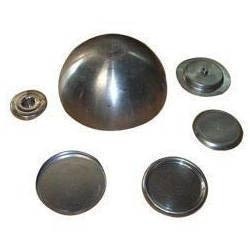 We are a renowned organization involved in providing a premium quality collection of Steel Cap to our clients. These caps are manufactured and designed in strict compliance with industry laid quality standards based on the client’s detailed specifications. These caps are abrasion-proof, rust-resistant, and damage-resistant in nature. These can be easily installed and require minimal maintenance. We have marked a distinct and dynamic place in the industry by providing a high quality array of Steel Couplings. To make certain excellent quality of products, multiple quality checks are executed at each and every level of manufacturing process by best quality associates. These products are immensely preferred by the clients for its flawless surface and extreme resistivity towards rust. Besides this, we are offering these products in different lengths and sizes at most affordable prices.